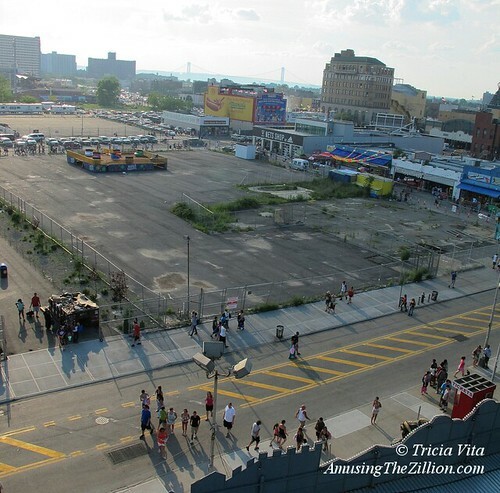 Will Rides Return to Thor Equities Vacant Lots in Coney Island? A little history in case you weren’t around to experience the drama: In October 2006, eight amusement businesses, including Norman Kaufman’s Batting Range and Go Kart City and Eddie Miranda’s Zipper, which inspired the film Zipper, received notice from new property owner Thor Equities to be out by the end of the year. 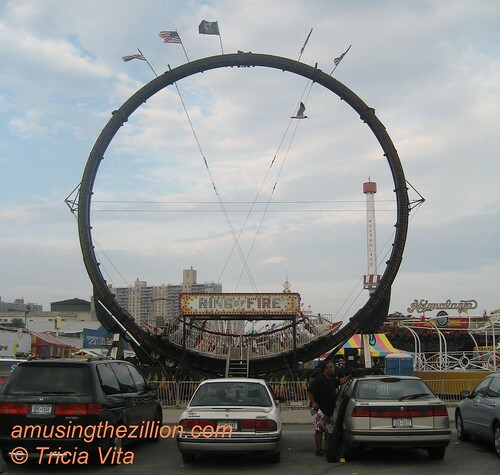 On Memorial Day Weekend 2008, Joe Sitt proclaimed “The Summer of Hope” and filled the reviled empty lots on Stillwell with carnival rides from Reithoffer Shows and Geren Rides for a limited run. 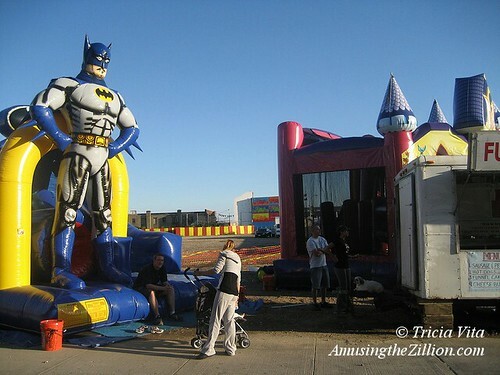 Hope died when the rides left in mid-July and were replaced by a couple of inflatable bounces. 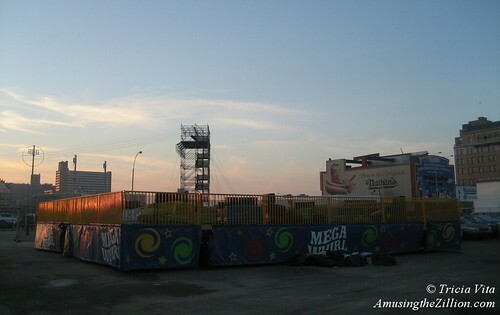 Skeptics said the amusements were a ruse in the lead-up to the Coney Island Rezoning of 2009. At the time, Sitt and the City were at a standoff in negotiations over a compromise plan that would reduce the acreage of the amusement zone and allow high-rise hotels on the south side of Surf Avenue. Failed flea markets made a mockery of the rezoning in 2009 and 2011. “Festival by the Sea” and the “BK Festival” were granted City permits as a “temporary fair” because a flea market is not a permitted use on this property in Coney Island. Clever, huh? 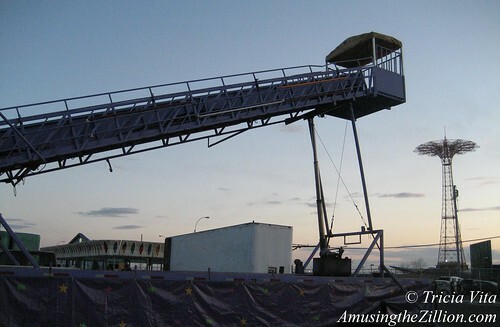 In 2012, rides, games and sideshows returned to Thor’s Stillwell lots for the first time since 2008. As a critic of flea markets on land where the Tornado roller coaster (1927-1977) and the Bobsled (1941-1974) had once thrilled, we were happy to see the BK Festival and Thor Equities take this new direction. 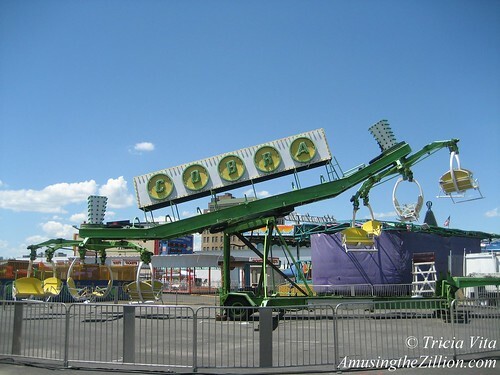 Among the rides were the Cobra, which amusement park blogger The DOD3 describes as White Trash Carny Ride #7. “Every Cobra I’ve been on looks like it’s stuck in a 70s timewarp but they all give wonderfully intense rides,” he writes. Other WTCRs on his list are the Skydiver (#1), the Zipper (#3) and the Trabant (#9), all of which Coney used to have. A Trabant was one of the rides at Dreamland, a temporary park on the former Astroland site in 2009. There were problems at the Stillwell Avenue park from the get-go. Originally set to open on Memorial Day Weekend 2012, the park was not able to open till four weeks later. A Giant Slide and Zipline never opened at all. Filing of paperwork with City agencies and bureaucratic red tape was blamed for the delay. City permitting issues relating to fencing closed the park intermittently and irregular hours had some visitors asking if and when it was open. The Mega Whirl, a prototype ride that combined the thrill of the Whip and the Tilt-A-Whirl debuted here and its abandoned platform remains on the lot, a symbol of financial ruin and broken dreams. Lots targeted for hotel, possibly casino?? but that is many years out, and megaplex movie theater. They still need minor adjustments in zoning. Any seasonal rides will be welcome and temporary as large indoor construction holds the future for the space. Its almost May. Any news about Coney getting its rides back? Also, the movie ZIPPER about Sitt and his takeover/non-development was very good. Nope no further news or rumors on the subject. May 1 is still early. Let’s give it till Memorial Day Weekend. However, I can’t be optimistic about Joe Sitt bringing rides to his vacant lots, for reasons mentioned in post, And as you saw in the Zipper doc he’s more interested in bringing in franchises.